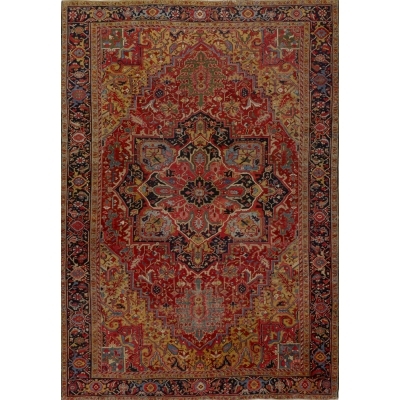 Heriz rugs are one of the most famous rugs from Iran, because of their very unique and distinguishable style. 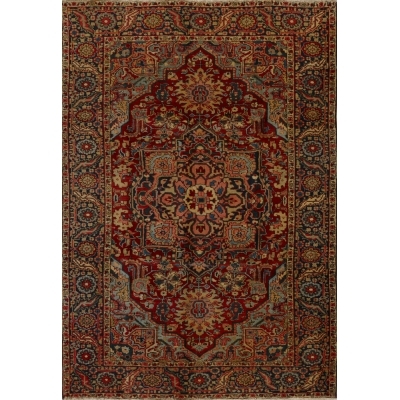 Heriz is a city located in northwestern Iran, near the city of Tabriz, which is a major rug-weaving center in Iran. 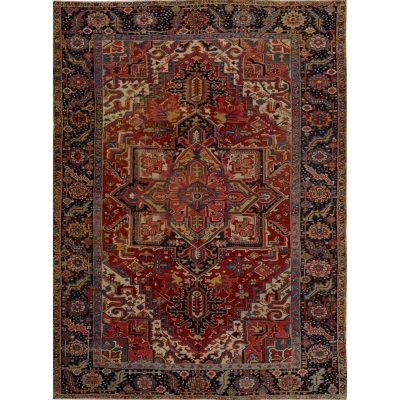 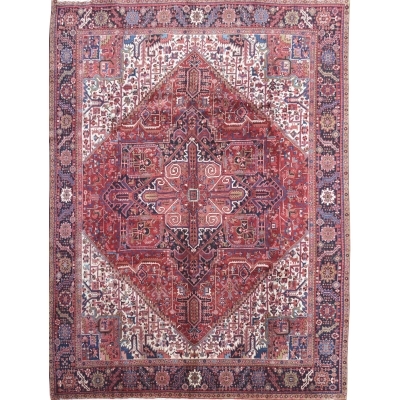 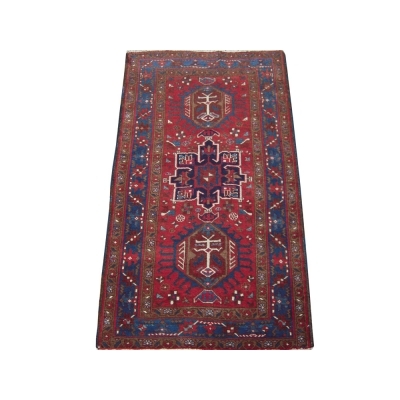 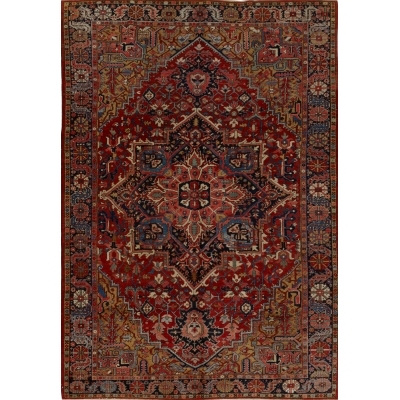 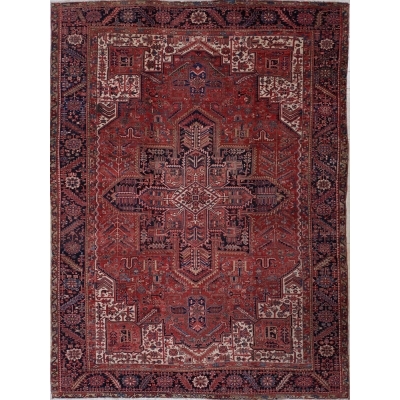 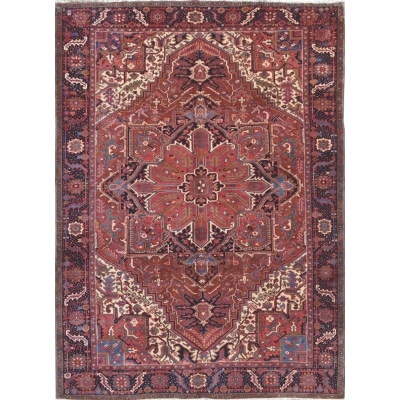 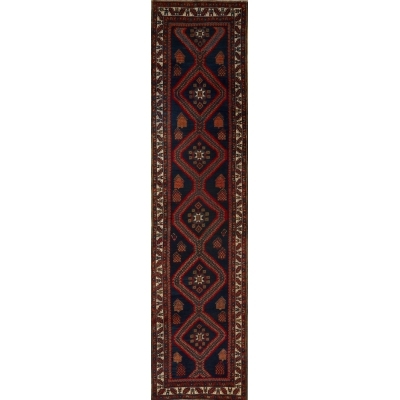 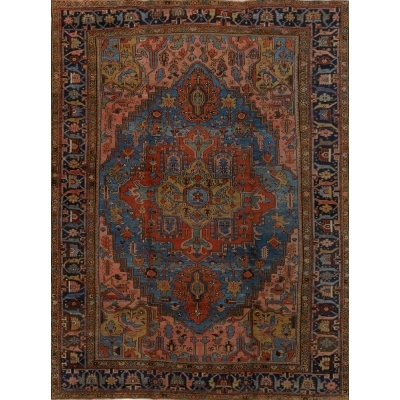 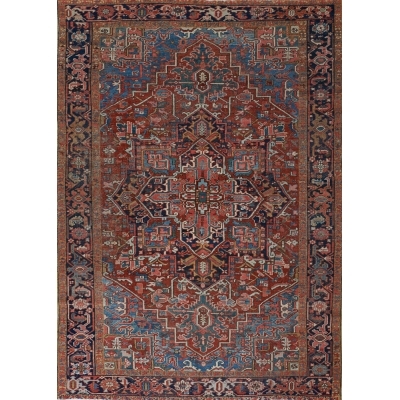 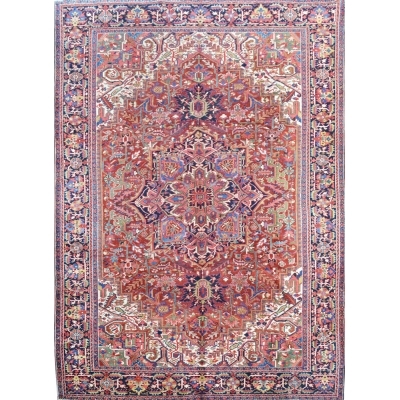 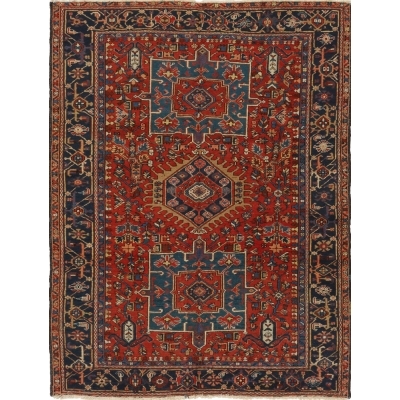 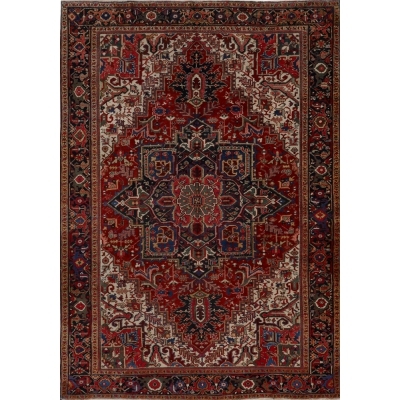 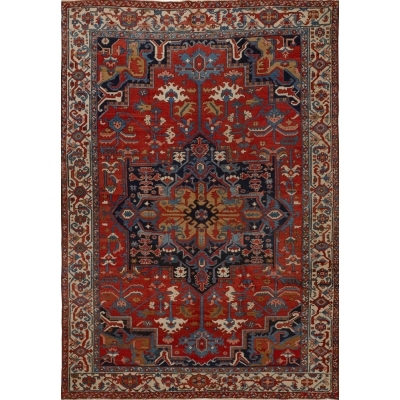 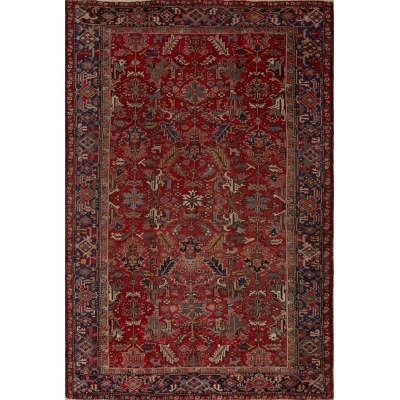 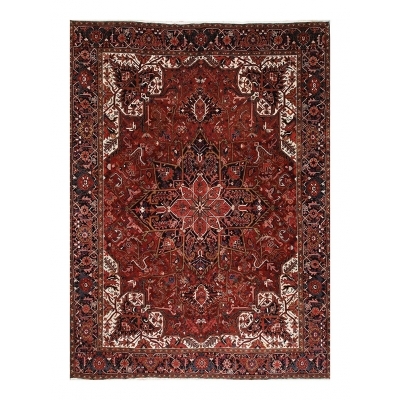 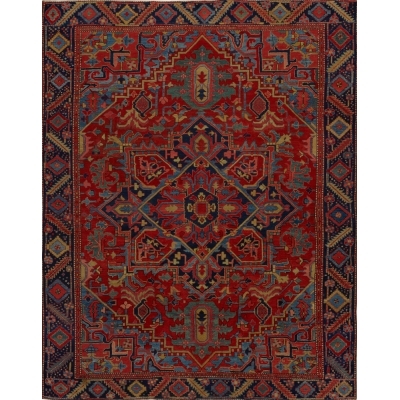 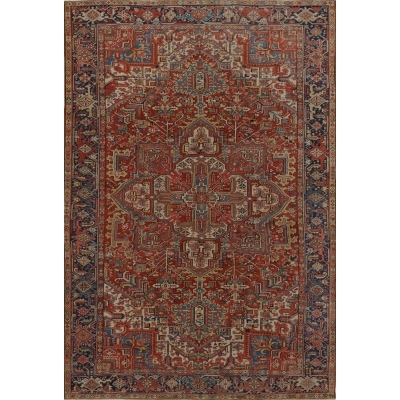 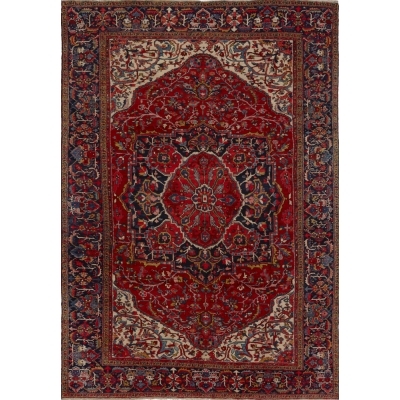 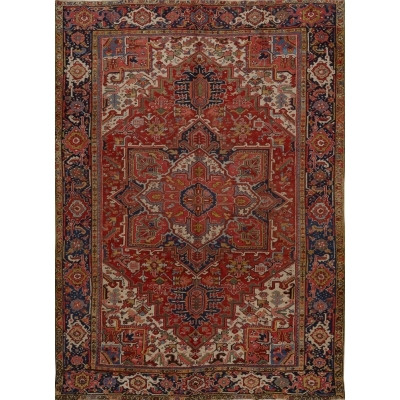 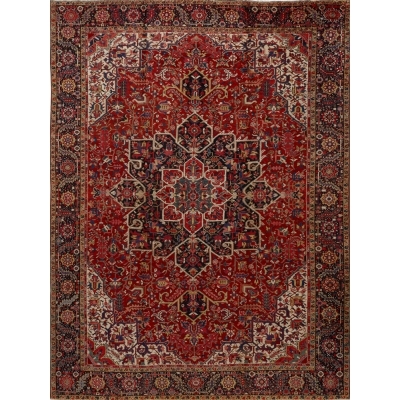 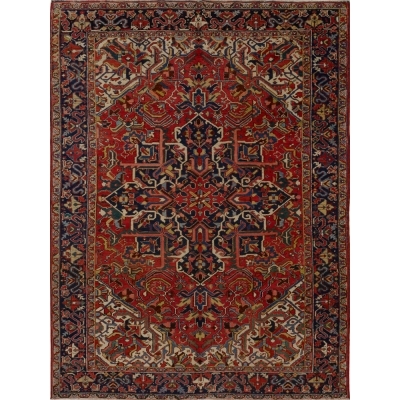 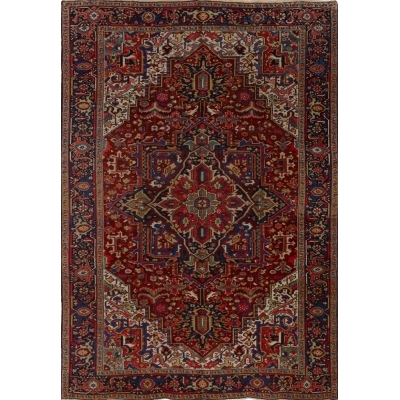 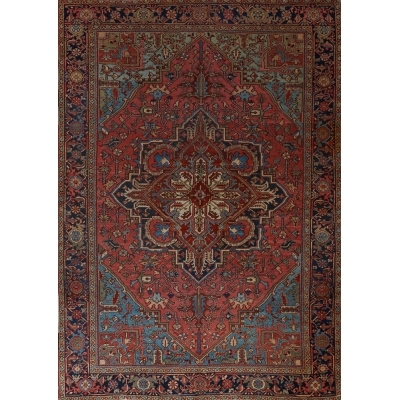 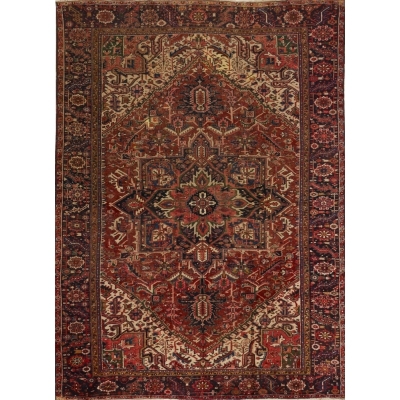 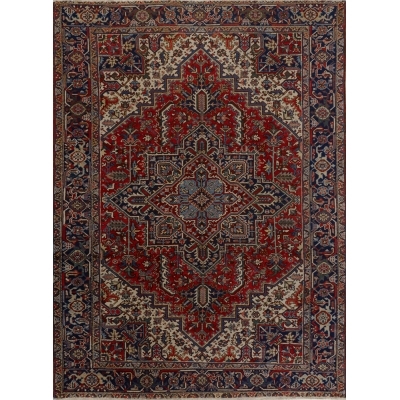 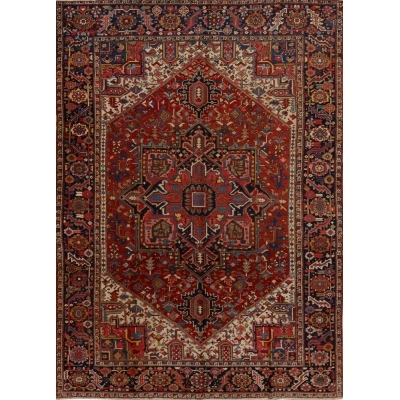 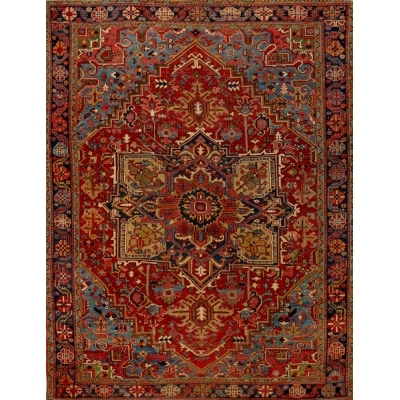 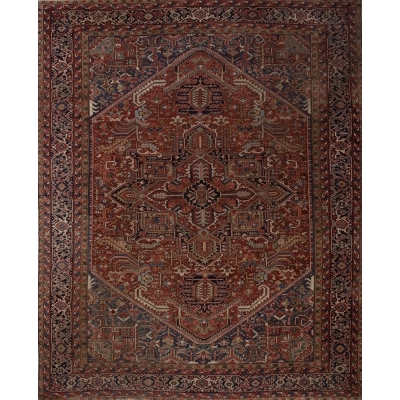 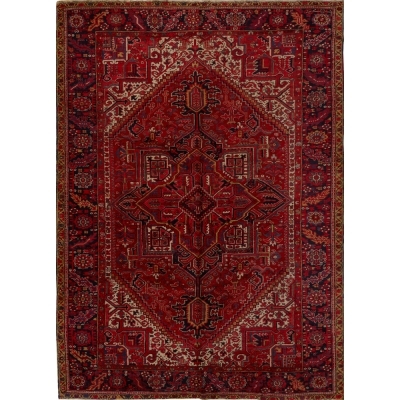 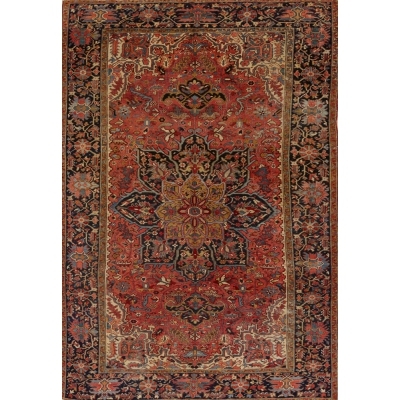 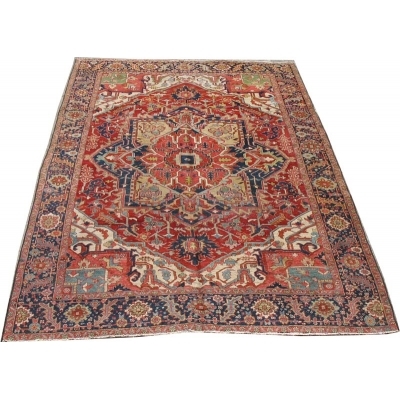 Most often, Heriz rugs have oversized geometric medallions, that are crisply delineated against a rich red, rust or dark blue field. 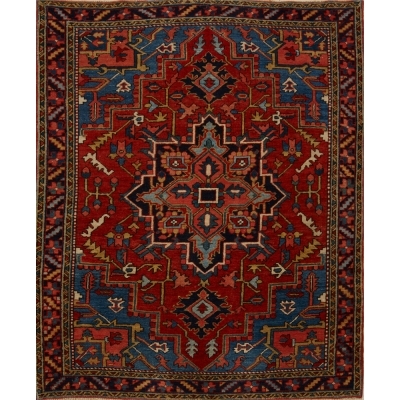 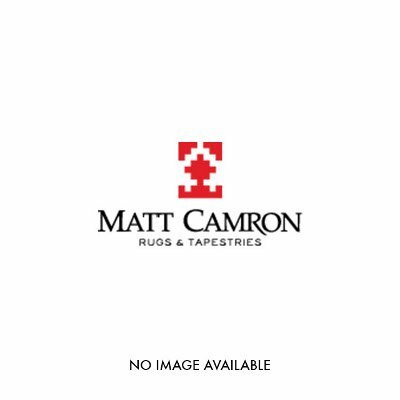 The pattern is almost always geometric, although some Heriz rugs have an all-over layout often together with geometric floral motives and less frequently curvilinear floral motives. 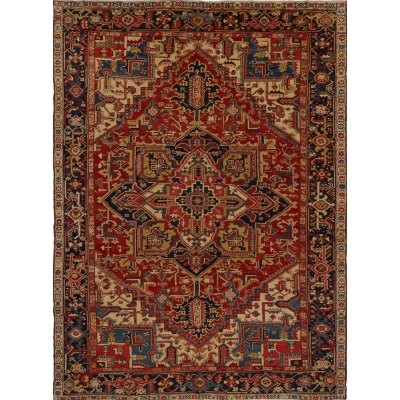 Since the Heriz region is not too far from the Caucasus, many Heriz carpets have similar colors and drawings to Caucasian rugs. 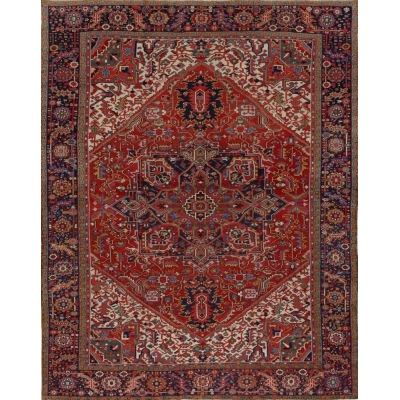 The most common colors are brownish red, light and dark pink, light and dark blue, greens, yellows and ivory. 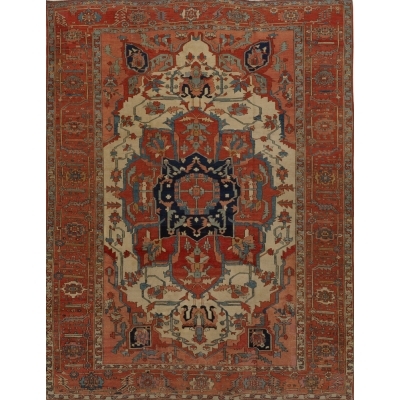 Blue and ivory are normally added to increase contrast. 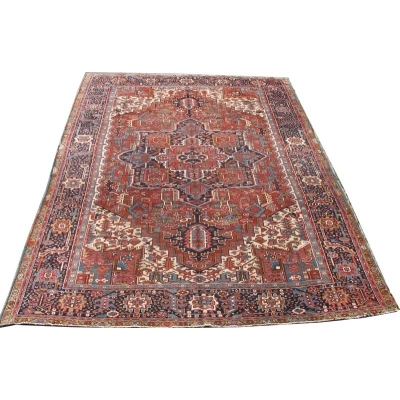 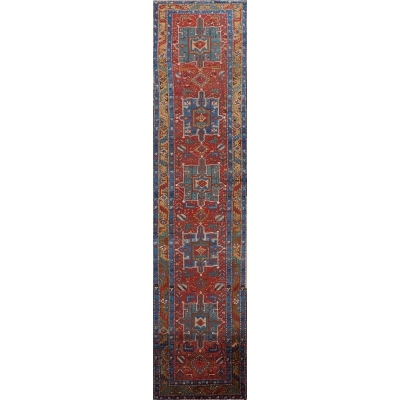 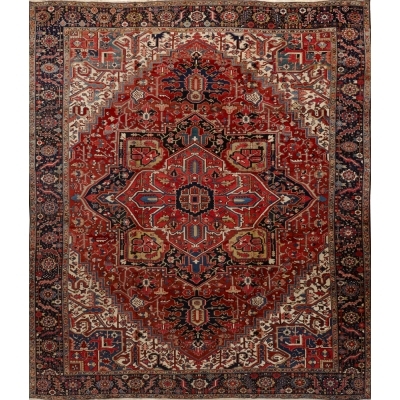 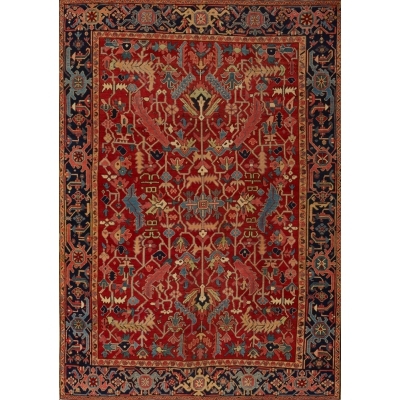 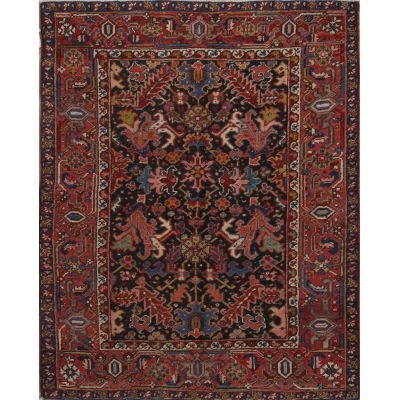 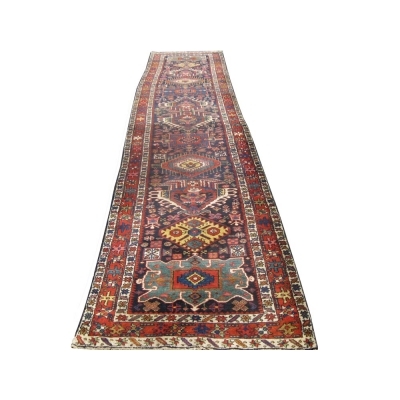 Serapi is a trade name given to better quality Heriz rugs thought to have been woven before 1900. 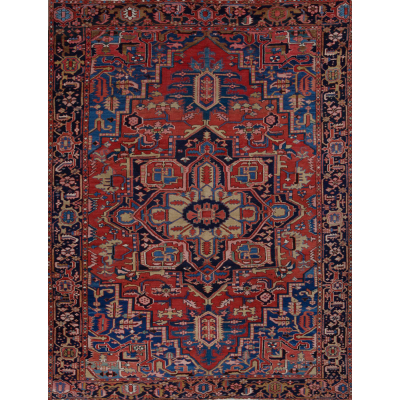 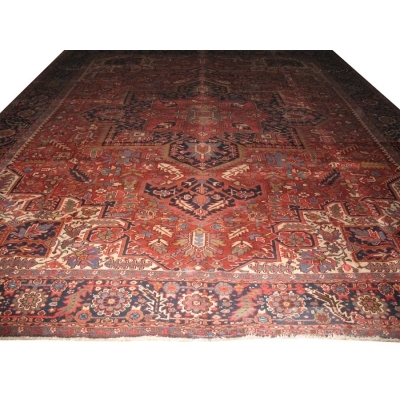 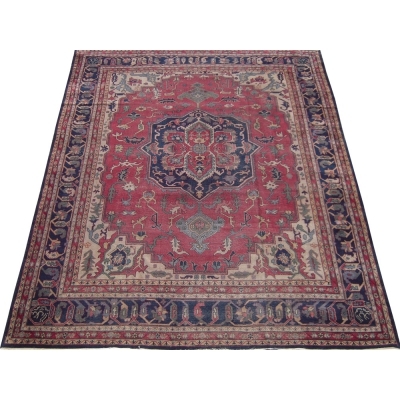 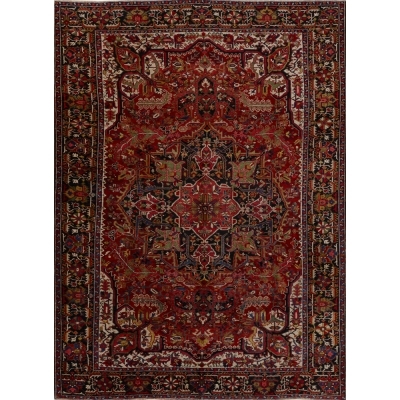 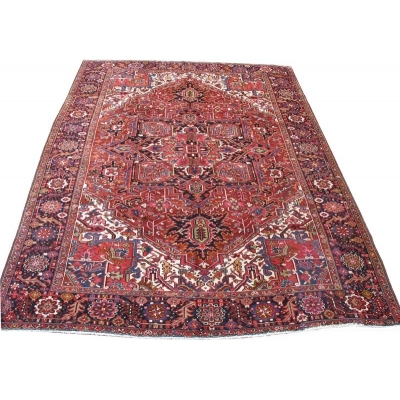 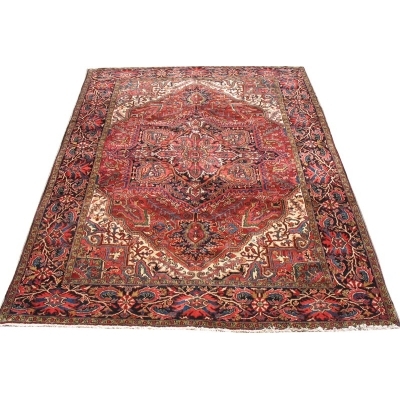 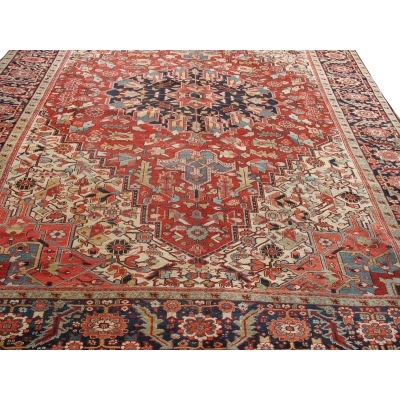 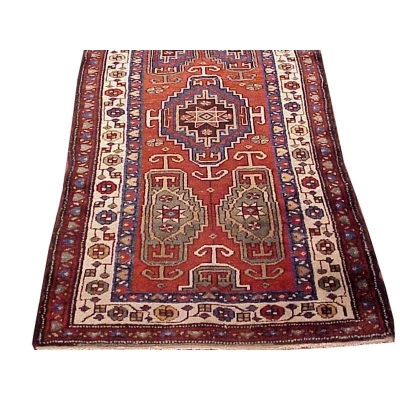 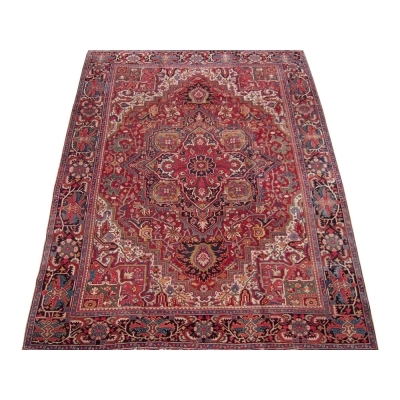 In the United States, the highest quality of Heriz rugs are called Serapi. 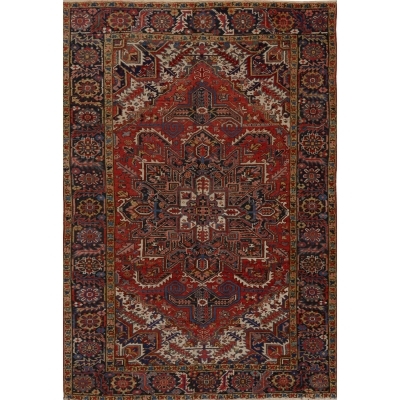 The name Serapi originates from the village of Serab. 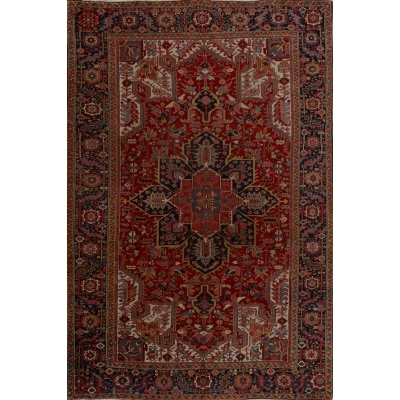 It is also located in northwestern Iran and has adopted some characteristics of Caucasian carpets.